What do i pray over the water? What psalms? And do i rub up the candle or down? I think psalm 23 is a beautiful, sort of all purpose psalm, and it's what I usually use if I use one for cleansings or blessings. However, most of the time I simply pray my intent. Something to the effect of "This sea water banishes all negative energies from these candles/this space/what have you...." You get the idea. As for up or down, I don't cleanse my candles before using them, I have read rub upward, but I would think you would rub downward to rid a thing of negativity. So, I personally would cleanse downward, but hopefully if I am wrong, someone will come along and correct me. Thank you both, you are awesome!! I posted on here saying I was doing some work to help me get a new job.... And it worked !!!! I got the interview and got the job !!! Im so chuffed i wanted to share with the forum ! And thank everyone for the help and adivce they gave !! i realize this is late but Ive been away a long while and just got back lol there were a lot of great and smart replies to my question. so i ended up doing a cast off evil spell where i wrote very specific list of things i was denouncing from my life in grocery list form, i also made sure to say. very angrily and assertively to cast everything out BY FIRE i used jumbo 9''candle as the main candle and a white vigil as the backup to augment the work. after the jumbo was gone i lit the backup from the flame of the original and called arch angel raphael [medicine of god] and healer of the sick refuge of sinners to work with the back up and all of my ancestors as well. the results.. jubilance liberation and deliverance. Just wanted some advise on whether i should lite some white helper candels ? I have some blessing and protection oil i could put on them but what other oils r best ? Is there anything ekse i should do ? As always many thanks !! You can always light little helper lights if yo like. I would carve the names of the people you are trying to keep protected on them and dress tehm with protection oil. If you don't think the protection oil is enough you can also use Fiery Wall of Protection. In order to do my work in private, I only have certain times during the day - in the mornings before my daughter wakes up or after she goes to school or at night after she is gone to bed, or occasionally on the weekends when she is gone. With the carving, loading, and dressing candles for rootwork, I take my time and try to focus through the whole thing. But I'm finding that by the time I get to being ready to light the candle I feel I'm rushing because I have to get somewhere or I'm tired because it's getting late. I don't feel I'm able to totally focus on the work at that point. Constantly listening for her or thinking... make sure you pray at least 15 minutes then you can go to sleep. Not the best environment for rootwork. I always get the supplies out early, but I do the preparation work for the spell right before I am ready to do the work - to light the candle for the first time. I would like to be able to have more time to focus on my intent during the time I'm praying and not be worried about other factors. I'd like to start preparing everything beforehand - like the night before - so that my altar is all set up with the carved and dressed and loaded candle when I'm ready to start doing my work the next night. Would breaking up the work like this - into a prep night followed by starting the spellwork the next night - in anyway diminish the effectiveness of my work? I think it would allow me to have more focus on what I was asking to happen from my work and I would be less concerned with the "execution" of the spell and more concerned with the "intent" at that point. I wanted to post a new question but only saw a 'post a reply' button so my apologies if I've done this wrong. I'd like to know, when boring holes into glass-encased candles, am I looking to go all the way down or only an inch or so? Thank you. (I hope you know just how helpful your input on this forum is to us lay people out there). No, you don't go all the way down. Good stuff! and an interesting bit of information - just when you think you've covered the LM site... there's more! As always, thanks a mill Miss Aida. You're such a gem! Miss cat has spent years writing them. Probably decades. It will probably take me the same amount of time to know all of them! I bought a dressed glass encased candle from Lucky Mojo. Should I trim the wick, or would that already be done before it was shipped to me? How long a wick is a glass encased candle supposed to have? It's pretty. I'm very excited to light it this week. I like mine about 1/2 inch long. It's been awhile since I've done any sort of candle work for myself. I was actively using a honey jar for quite some time and had wonderful results with it. I have since put it to the side to let things continue to unfold naturally. But I'm rambling here. I normally have candles lit for me by LM on the altar. But I recently was in the grocery store of all places and spotted vigil candles. I instantly picked up a red glass encased vigil candle and decided to give it a try. I've been having some difficulties lately with my guy, mainly communication, the whole "are we together or what" issue, and just the connecting in a passionate way. And by this I mean I feel like lately the love has been neglected due to the factors of life, stress, family, money,etc. So I was immediately drawn to the red candle and thought it might help with bringing some of these things back together for us. I used a needle to write his name on the top of the candle and I dressed the candle in the oils I had when I used my honey jar. Love me oil, stay with me oil, reconciliation oil. I used the reconciliation oil because I feel like lately we've been struggling and we've had some ups and downs so I thought it might help to bring us back together closer. I didn't really have any herbs for the top of the candle though. I hope it works. I spent quite some time meditating and praying over while I dressed it, lit it, and even after it was lit. I would like to know if I should dress the candle before I lite it each time? Unfortunately I cant leave the candle burning while I'm not at home so I will snuff it out. But should I add the oils to it before I relite each time or is the initial dressing of the candle enough? I'm excited to see the results and hope I have done this properly! Moonbeam38, it's not usual to dress the candle every time you light it. I know it looks like there's "nothing on there" -- but there is, believe me. If you have a copy of The Master Book of Candle Burning, you will see that the candles in that book are generally dressed with oils only -- and generally only one kind of oil. In fact, vigil candles are generally lit once and allowed to burn constantly until they are gone. The main exception is if there are privacy issues; then you might snuff it so you can hide it between private sessions. You seem to be having trouble on many fronts, so I would also work a blue candle with Tranquility, King Solomon Wisdom and Influence, with perhaps a sprinkle of Rosemary to put you in charge; and a green one with whatever prosperity stuff you like, along with more King Solomon Wisdom and Tranquility. Thanks so much for your response. Yes there are a few issues going on at the moment and I will definitely try those candles you recommended. I would love to leave my candle burning without snuffing it but I do have some privacy issues and can't leave it burning unattended. So far it seems to be burning ok after the first day. There is a bit of wax stuck to the top of the glass while the rest seems to be burning clean. But I think it's perhaps more the way the wick was placed in the wax. But we'll see how the rest of the burn goes. And when I lit it a puff of white smoke came out. Not sure if that's positive or not. I generally don't pay attention to a momentary puff of smoke (and don't recall seeing any such thing, but candles are made differently in different locations). Persistent smoke coming off a flame, yes -- it'll make shapes I can read as it burns, or it'll leave marks on the glass -- I can read those too. I sure don't like to see black smoke coming off a flame. That's not encouraging at all. I always trim the wick if it does that. But just one little pffft? That's like getting one letter of one word in an alphabet you can't read. On the subject of preparing candles beforehand - as itgirl92 asked about - I have found that my work is more potent and brings quicker and long lasting results if I load and dress them a day or two before I intend to light them. I liken it to eating a stew that always tastes better the day after making it. Also, my energy levels are low after preparing a candle and chanting my petition so that's another reason for setting it to one side for the next day...fresh energy and the anticipation of working brings me great results. And as for me, I do better when I do everything in one go - the energy from the carving and dressing and petitioning builds into the energy for the lighting and the prayer. It's like playing music. Which is just to say that there isn't one right way, I don't think. There are traditions and customs to be observed and respected, certainly, but there is still room in there for us all to find our own best way of working. Great dialogue, cassiopaeia and Lilith Moon! The only way to know for sure is to do the work, observe the results and then see if any tweaking is required next time. Of course, there's been many times when I've had to work from start to finish due to urgency or plain old anger and the spells/workings have been successful. What annoys me is when someone says that their way is the only way, and refuses to accept otherwise...me and thee show that to be untrue. Back on topic, can anyone guide towards information regarding making a wax-based dressing to wrap around candles? A long time ago I saw a couple of photos (Heaven alone knows where!) that showed what looked like a sheet of thin wax that had herbs mixed into it, and then it was somehow attached to a taper candle. I expect the layer was warmed up prior, but I am struggling to find anything anywhere. I am sure that cat knows about this (as she knows everything). But, wondering if they used wax paper, pour some wax, immediately laid crushed herbs, then spread it out thinly. Then, wrapped around a candle. I image that the microwave, if used inappropriately, could ruin the herbs. Hi Miss Aida, yes that's the method that I imagine is used and have thought about trying it but am loathe to waste anything. Plus I've found that if something doesn't right when assembling a working then the 'fed up with this!' energy gets transferred over...I'm very critical and concious about everything being right from the outset. If I find it, then I'll deffo PM you. Is there a way to doctor a vigil candle that's leaving tons of wax on the sides? Obviously I'm going to have to do more work on the situation, but I know that doctoring freestanding candles can give conditions a little boost so I was wondering if the same holds true with vigils. In my opinion, when purchasing a Fixed Glass-Encased Candle there isn't a need to cleanse it the candle. 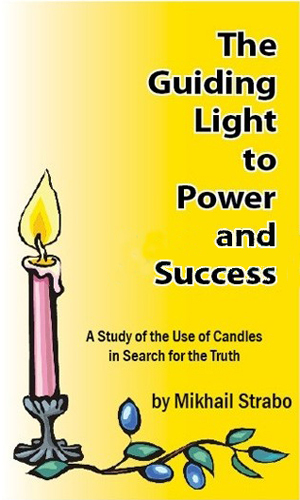 When the candle does arrive, be sure to spend time praying over it before you light it. I agree with Papa Newt. When I buy figural or stick candles, I generally cleanse them with Florida Water before starting my work to eliminate any energy they've picked up from being handled by other people. I don't do that with fixed candles. Hello all! Happy Monday! I hope I'm posting this in the correct place and please correct me if I'm not. I wanted to know about writing a petition paper for both me and my husband. I'm doing some road opening work and I've never written a petition or dressed a candle for more than one person. Please don't laugh at me. Should I just cross our names and write what we're hoping to achieve in a circle around our names without lifting the pencil? Or is there another way I should be doing this? Also, when name carving, do I have to write both of our names (my maiden name) into the candle. It's a fixed, vigil candle. So my only place to write anything is at the top. Thank you so much for your help. Personally, I would write both of your names on a single line as if it were one name (you are a married couple, thus a single entity), then encircle that with your petition. You would cross your names if you wanted to get something from the other person, not for the other person. I hope that makes sense. That makes perfect sense. I appreciate your help and guidance. In a pinch, may I cut a 6 inch taper in half and burn the 3 inch candle on my jar? Or will that mess with the integrity of the candle and burn? Of course you can cut a candle in half, but unless you need the other half for something else right away, it is more traditional and also simply easier to burn the candle in two or more 15 minute sessions by pinching it out and relighting it. 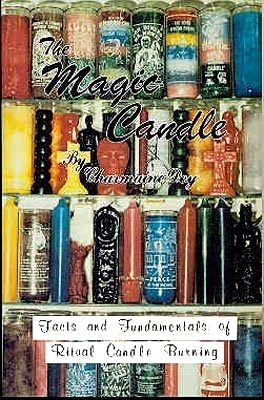 This is your second question about exceedingly basic principles of candle magic, and i am so glad you have come to us with your questions, but rather than answer these one-by-one-by-one, i truly hope you will buy my low-priced book on candle magic and learn the entire way we work rather than jumping from emergency to emergency. Good for you. 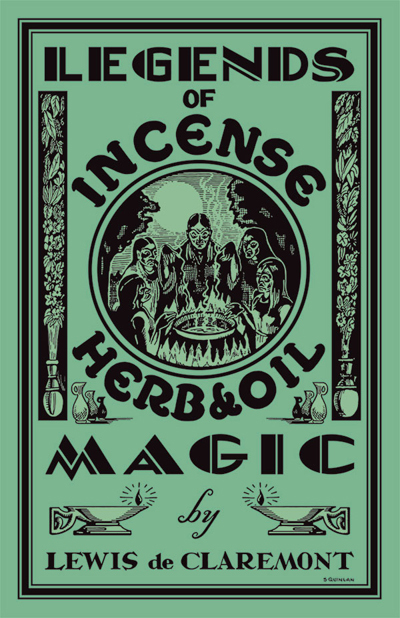 I hope that Hoodoo Herb and Root Magic also expands your knowledge. so, instead of a yellow candle with "sucess" carved in a spiral 9 times could I for instance have a black candle with "anxiety be gone" 9 times dressed with banishing oil and burned similarly so after each phrase/word is burnt I would snuff and wrap the candle and keep it going. Perhaps with a different dressing, burning a purple candle with "do as i say" 9 times spiraled (burned over a person picture) before i go see the pictured client i work with? If I used a glass dish over a picture (with name and birthday on back of picture) as a buffer to the candle, would i be able to save that picture and go back to use it buffered again for a different candle spell or the same type of candle spell at a different time? 1. Regarding inscribing or carving petitions in the form of a single word or short phrase in a spiral down the length of a free-standing candle wax: Yes, this is exactly how it is done. This is fully described in my book "The Art of Hoodoo Candle Magic." 2. Regarding protection and re-use of a petition or photo under a glass plate beneath a candle: Yes. This way of working is very old, and is fully described in my book "The Art of Hoodoo Candle Magic." B. A glass "wedding favour coaster" which holds a photo insert. We sell the coasters -- with a mirrored border, for reversing spells -- at our shop. Thank you very very much for the reply. I am reading your book which is where the basis of my knowledge formed, I just wanted to clarify those two particular forms of burning in a generalized manner so I can be confident working outside the realm of just one or two pre written spells and moreso understand the tradition and work "the right way", not be generalizing a sucess spell for example end it would not work under another situation. Just to clarify though, I assume the prayer in the restaraunt dish variation is written on the part that faces down onto the petition or photo? Just to clarify by the way, I assume the prayer in the restraint dish variation is written on the part that faces down onto the petition or photo? Hi everyone. Today I had done an influence vigil candle, but there were so much puddle of wax. I thought it may be the oils, I didn't used too much, but the puddle covers most the wick! I had tried getting excess out, snuffling the wick so I can move the wax away from the wick when it harden. Which it barely does. but when I relight it, same problem. The wick finally went out on its own from drowning. This the first time this happened. The wax is so soft and became a messy wax, I don't know what to do now. The glass candle is now wrapped in a bag. Should I consider it done? Any help will be appreciated on what to do. Thanks. I am going to redo the spell, using a taper candle. The glass candle, I saw what else happened, the wick was short. I shouldn't have trimmed it when it wasn't too long in the first place. I'm just used to flames flaring up. Should I buy the wax from the glass candle near my home since it was for a good spell or crossroads. Thanks. Yes, trimming a wick too short on a candle can easily cause it to drown. Lesson learned! Thanks Sister Jean. Yes, I definitely learned my lesson on that one. I will bury it near my door. Thanks again. Update: I had redone the spell using a 10 inch taper candle. It burned down in 5 and a half hours. The candle holder, a gold star shaped holder got singed. The flame was leaning over an edge and done that. Could that just be a bad sign. The entire thing was black and most of the wax burned down. Some outside the petition (on plate) and some underneath remained. Should I had moved the edges and bend it away from the flame. It was the wick inside then. I thought it I done that, the flame would go out. It also had white smoke coming from it. I'm not sure if the herbs caused the singed either. Thank you. We can't speak for products purchased outside of Lucky Mojo. Thanks Miss Aida. I'm going to go with the fact of using too much herbs and spices, and not having them ground on a taper candle. You do not have to include a petition paper under the candle but you certainly can do so. The carving is likley still present on the candle but just difficult to see. Thank you Nathen. I did look in daylight and the carvings are still there, I just can't feel them. 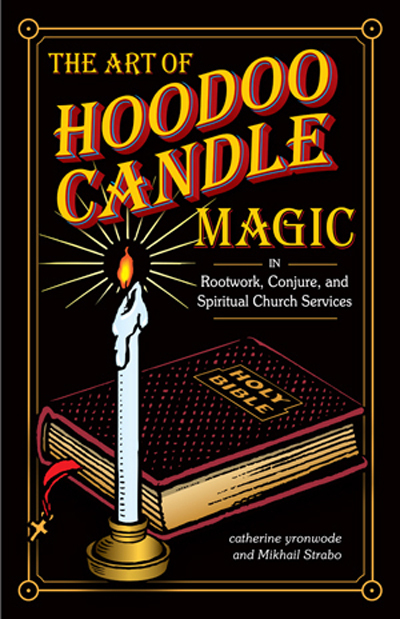 I must say, I have enjoyed reading about hoodoo and learning off of the site because I feel more connected to it than I did with wicca (which I tried to practice as a teen) It might be my catholic roots and that I still feel very close to Christianity. But I love this forum and am looking forward to learning more and combining the two. I feel a connection to both relationships (with Jesus and the practice of hoodoo) So thank you all for being here and being so helpful and informative. Had a question about petitions for novena candles - should I reuse the same petition I taped to the glass if I'm burning a nine Tuesday series of novenas for St. Martha, since its the exact same wish/petition?